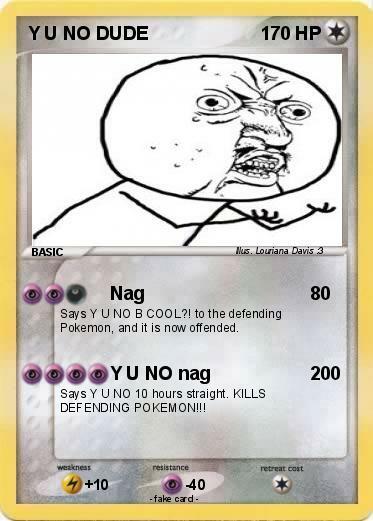 Says Y U NO B COOL?! to the defending Pokemon, and it is now offended. Says Y U NO 10 hours straight. KILLS DEFENDING POKEMON!! !